122 Grain Tulammo® 7.62x39 FMJ Ammo. Quality, value-priced Ammo for plinking and target shooting, from one of the leading munitions suppliers for the Russian military. Polymer-coated, berdan-primed. Steel case. Non-reloadable, non-corrosive. Full metal jacketed bullets. Muzzle velocity: 2,396 feet-per-second. Muzzle energy: 1,555 ft.-lbs. 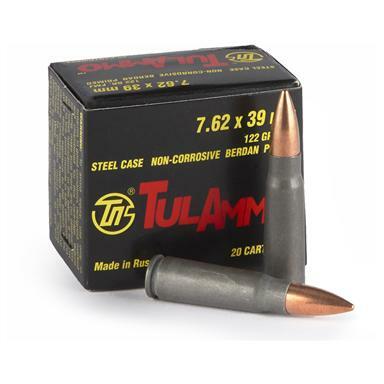 Tulammo, 7.62x39, FMJ, 122 Grain, 500 Rounds is rated 5.0 out of 5 by 3. Rated 5 out of 5 by MATTHEW from My AKs and SKS's eats it right up . Rated 5 out of 5 by PAUL from Very clean, new ammunition. 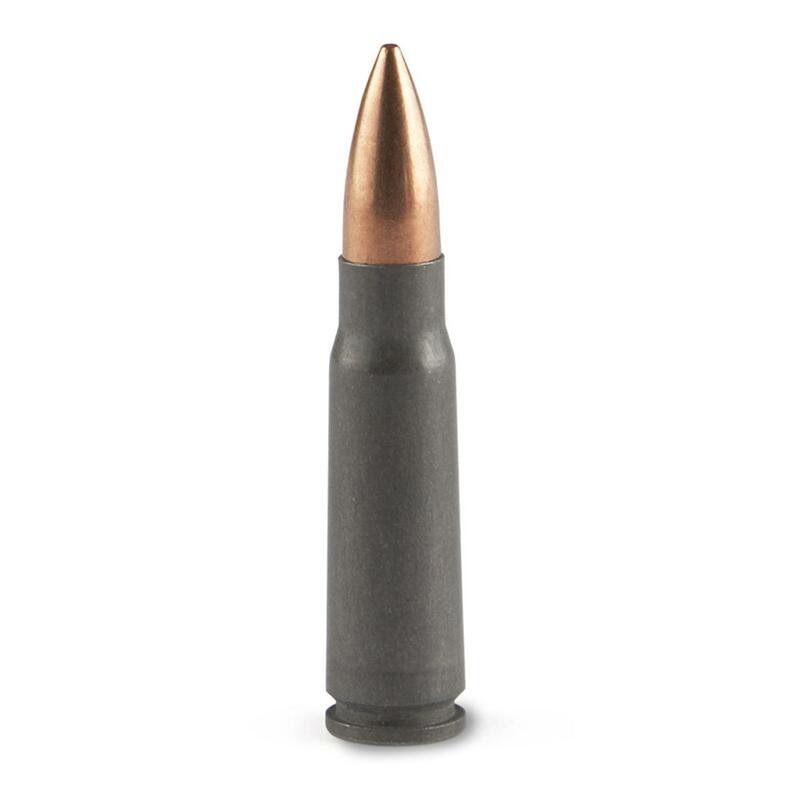 Bullet jacket is mild steel with a heavy copper plating. Some indoor ranges don't permit this type of ammunition -- check first. Excellent ammunition for the price! Rated 5 out of 5 by KURT from Always good ammo at a great price! Brown Bear loads to the exacting standards you'd normally see only in military specification rounds! Superb accuracy at an unbeatable price!